Once they all have accounts the easiest thing to do is make an email group. Open your mail account with your browser. 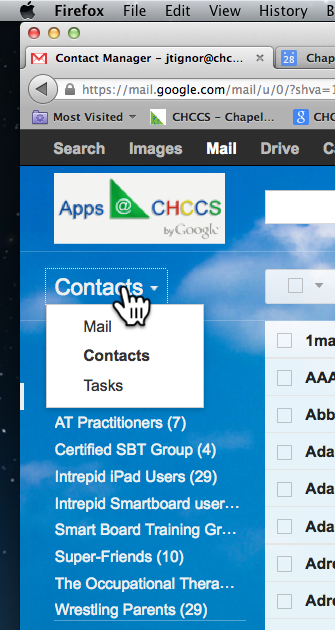 Click on "Mail" in the top left corner and choose "Contacts". 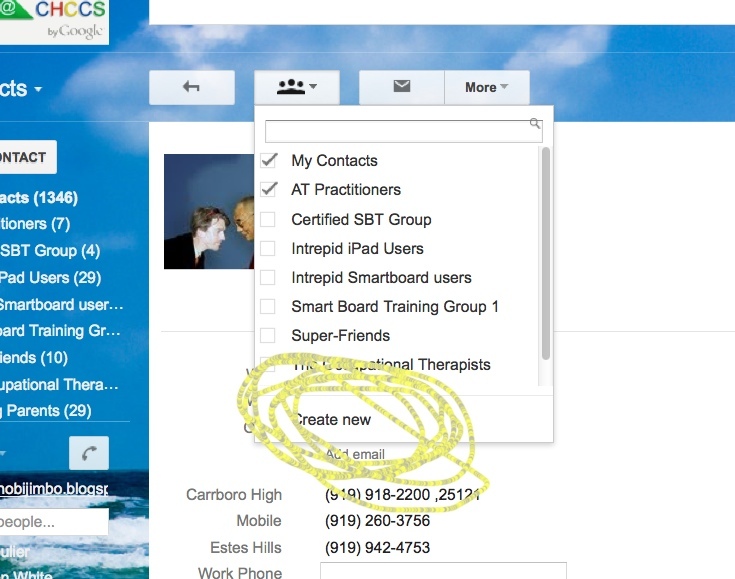 Then click "New Contact, and then click on the "Group" icon. 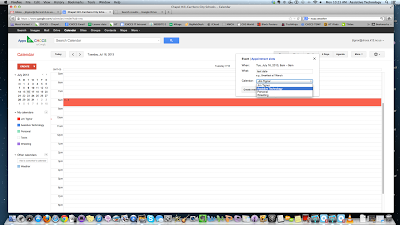 Then at the bottom of the pull-down list, choose "Create New". 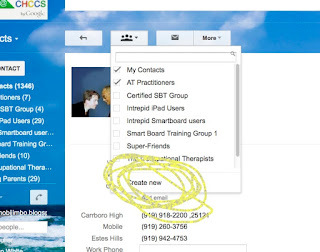 The next step is to add your student's email addresses. You may also wish to add their parent's email addresses if you have them. This keeps everyone in the loop. From now on, you can add homework, test dates, or other important dates for your students. Add a date to your calendar, and choose which calendar it will be displayed in. 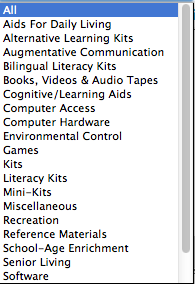 For this picture I've chosen "Assistive Technology", but you may want to make a group just for your class. If you are a middle or high school teacher, make a calendar group for each class you teach. Now, with the pertinent details for the date, you can add individual names, or the whole group you created out of your students. In this way, they all have the date. Good luck and Happy Calendaring! 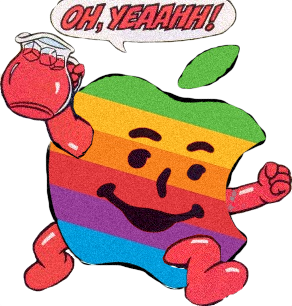 Apple Kool-Aide. Yes, I drank it. Yes, yes, I know, and I've acknowledged this before, I drank the Apple Kool-aide. I am a huge fan of their products and no I don't get any money from them to say so. But seriously, check out this page from Apple. The page explains the dozens of assistive technology accessibility features which come pre-installed on Macs. Many of which you won’t find in other operating systems at any price. There is also a good explanation of the universal access features for iPhone, iPad, and iPod, Apple is taking these technologies to a new level.Mac computers and iDevices include quality text-to-speech, word completion, spelling and grammar check. The built in voice over is a powerful screen reader which can help folks with visual impairment navigate their computer. Also built into the computers is Refreshable Braille Display Support, and Screen Magnification. There is more detailed on the link above. These functions are very powerful, and having them pre-engineerred into the operating system really helps them run seamlessly. Recently I was asked to sit on a panel at UNC-Chapel Hill with faculty, a hospital based Occupational Therapist, a few parents of children with disability, and an adolescent with disability. We were speaking with students who were beginning Rehabilitation Engineering Design Projects for their Applied Sciences and Engineering class. The purpose of our panel was to share with the students what they might expect in working with individuals with disabilities, and possibly demystify some of the process.The UNC class is taught by Dr. Rich Goldberg, and is paired with a similar class at Duke University which is taught by Dr. Kevin Caves. "In this program, students develop custom assistive technology devices for people with disabilities. Project ideas come from therapists and clinicians in Durham and Chapel Hill, who serve as project advisors throughout the semester. Students spend the entire semester working on the design and development of a device. At the end of the semester, they deliver their device to the therapist and client at no charge. Lectures and discussions in the class focus on engineering design and communications; working with people with disabilities; ethical issues in assistive technology; patents; and other issues." to provide a practical engineering experience as well as a personally rewarding experience to the student; this may also encourage them to use their specialized skills in the future to benefit individuals with disabilities. to help individuals with disabilities become more independent by designing and building custom assistive technology devices that address their needs. The variety of projects and clients the engineering students work on is impressive. If you are local, and have a unique need, you may wish to contact Dr. Goldberg or Dr. Caves. I wonder if other universities offer such classes? Sōsh: Improving Social Skills Just Got Easier! Do you work with tweens, teens, or young adults on social skills? 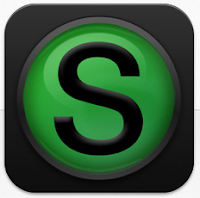 If so, Sōsh may be an important app for you to take a look at. It is designed to be used by individuals with Asperger's Syndrome, on an iPhone or iTouch, but will work on an iPad as well. 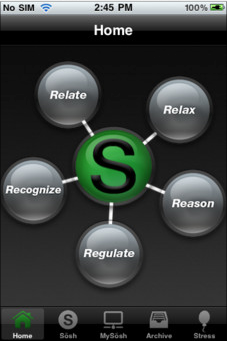 Per the designer, Sōsh addresses five essential abilities for social skills development including Relate, Relax, Reason, Regulate, and Recognize. The Home screen is easy and intuitive to use. Sōsh is a strength-based road map for individuals who want to be social, and a guide for the adults who are supporting that individual in achieving their goals. At $39.99, Sōsh seems relatively pricey, until you consider all that it offers. With over 60 well designed screens of exercises, strategies, and practical information to work through social situations in a step-by-step manner. In addition, Sōsh is available for a free seven day trial at their website here. There really is so much available in Sōsh that I will focus on only some of the highlights. The Relate bubble corresponds with connecting with other folks. Clicking it opens five more bubble links: What Did That Mean, First Impressions, Talking Strategies, Out and About, and Common Ground. Each covering a different issue. What did that mean for example is a massive collection of idioms. 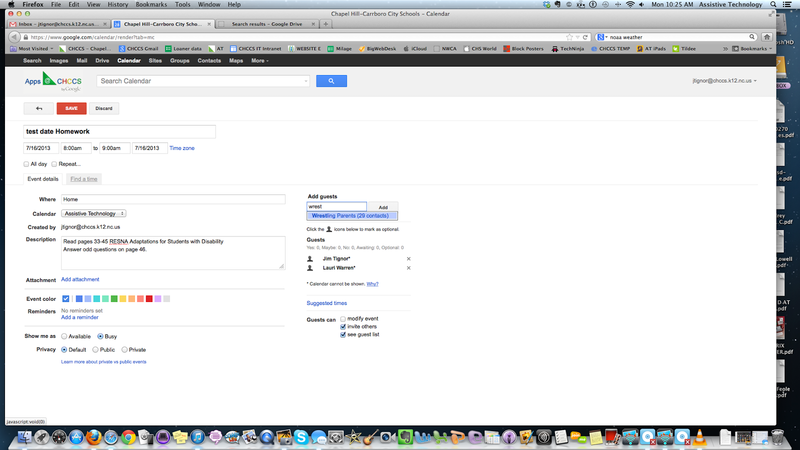 This allows a user to look up an idiom to gain a better understanding when they here it. Common ground is a data-base that the user creates listing topics that they are interested in, and another of topics that they hear other folks discussing. 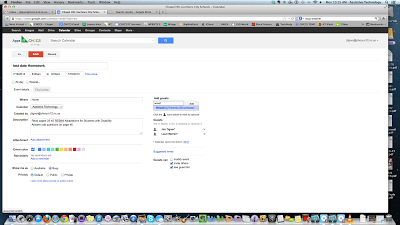 Double tapping on a word in the data base opens a google search for that word. First impressions is another data base, where the user creates a rolodex of sorts of everyone they meet. The rolodex can include the person's name, phone, relationship, interests, and things you've discussed with them. First impressions has the ability to import info from your contacts, or by "Bumping". The Regulate bubble corresponds with managing behaviors. Clicking it opens four more bubble links: Voice Meter, Monitor, Interest Log, and Tracking. Voice Meter is a simple volume meter with a visual display with the likert scale Too Soft, Just Right, and Too Loud. This is useful in helping students modulate their voice volume. Interest Log lets the user enter an activity and how long they engaged in the activity. 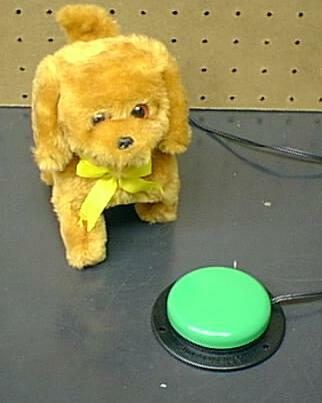 The Tracking bubble presents a screen with two behaviors and clicker counters to gather data on the occurrence of a given behavior. The Reason bubble corresponds with thinking things through. Clicking it opens four more bubbles: Transition Timer, Perspective, Mental Strategies, and Problem Solver. The Transition Timer is just what it sounds like. A simple time with minutes and seconds, with the option of including a beep or voice warning when there is 5 or 1 minutes left. The Perspective bubble helps to put a stressful situation into perspective for the user. The user is able to type in a situation, and then use a scale to rate how much of an effect a given situation has on their life. The Problem Solver bubble allows the user to enter a problem, and then write out 3 different solutions. They then can check a box by the solution they choose. At the bottom there is a box to rate how well the solution they chose worked. In addition to the practical problem solving tools above, Sōsh has a built in journal with ready email capability, a goal page, and a robust online archival system. 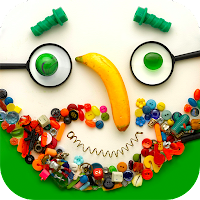 I have touched only on a few aspects of this incredibly rich app, and encourage anyone working social skills to take a closer look, as this is a goldmine for therapists, parents, and most importantly, folks struggling to manage social skills. Here is a video of Sōsh in action with Dr. Mark Bowers, author of Sōsh: Improving Social Skills with Children and Adolescents. Here in North Carolina we are blessed with some truly exceptional resources for our folks with special needs. Specifically we have a handful of agencies that offer lending libraries of unusual or expensive equipment. This allows consumers to try equipment for free for a period of time, and for therapists/educators to augment there interventions. There are three agencies that come to mind: Tadpole, NCATP, and ATILL. I have personally used the first two organizations. All three of them are free lending libraries. One offers free shipping (Tadpole), the others don't. You don't need a "school account" for any of them, you set up an individual account. 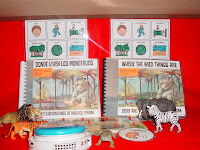 Tadpole and ATILL have a great online library with photos. NCATP online library is nonexistent, but that's probably because they have so many centers throughout the state, and encourage folks to come in and put their hands on the equipment. Generations-Tadpole has over 1,300 items that have been selected for use with children and adults with developmental disabilities. Their inventory includes both low and high technology. Tadpole provides short term loans of both adapted and non-adapted devices to adults and children with developmental disabilities. You may place your order on their website and they fill it, usually within a week. Your order will include a packing list that includes the items that you borrowed as well as a ‘Due back the week of ________” date. Prior to your due date, Tadpole will contact UPS to let them know to pick up your package. UPS will arrive and bring a label and return the box to Tadpole. All the above is a FOR FREE SERVICE. They pay shipping both ways. They provide batteries. Loan of the device is free. Amazing. Tadpole's website is very user-friendly, though still under construction. It will be terrific when complete. That being said, there is tremendous value in taking a field trip there to see and hold all the different things they have to lend. It is a wonderful resource for therapists, teachers, and parents alike. Tadpole ships to a 22 county/school district region. Those counties/school districts include: Wake, Durham, Orange, Chapel Hill-Carrboro City, Chatham, Granville, Caswell, Person, Alamance, Franklin, Johnston, Wilson, Nash, Edgecombe, Moore, Lee, Harnett, Cumberland, Sampson, Wayne, Green and Clinton City Public Schools. Their operating hours are Monday, Wednesday and Friday from 9:00 - 11:45 a.m. You can reach them by phone at 1-888-288-7948. Their address is 205 W E St # G, Butner, NC 27509. The North Carolina Assistive Technology Program (NCATP) is a state and federally funded program that provides assistive technology services statewide to people of all ages and abilities. A few blog-posts back I wrote about the AT Classifieds that are run by NCATP. NCATP offers a device loan program to help individuals try out equipment in the location they will use it: at home, work, school or recreational activities. It’s a “try before you buy” approach which helps individuals and funding agencies make wiser choices. 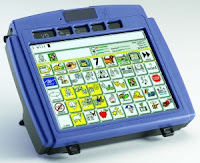 NCATP offers a wide range of assistive technology devices including augmentative communication ( for people with limited speech), computer access, low-vision aids, assistive listening, aids for daily living, switches, environmental controls, adaptive toys and recreational devices. 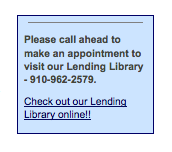 Similar to Tadpole, the NCATP lending library is free. Devices can be borrowed for a two week period. 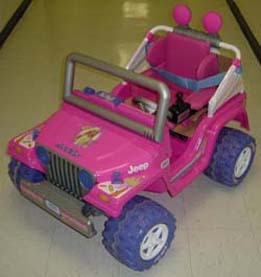 Toys and other AT for young children (birth to 5 years old) may be loaned for longer periods of time. The NCATP library tends to be mid to high tech equipment, very current, and rather breathtaking. It's hard to find a place with a deeper selection and staff who are more knowledgeable. The NCATP Centers are spread across the state of North Carolina with locations in Raleigh, Sandord, Winston-Salem, Greeensboro, Elizabeth City, Rocky Mount, Wilmington, Sylva, Morganton, and Charlotte. NCATP staff respond to individual requests about the benefits of AT, device options, information on funding resources, and the use of specific devices. Staff research the inquiry and provide the information in person either on-site in the AT Center or in the home, school, work or community setting or via phone, email or U.S. mail. Consumers or family members are not charged for this information. However, if training on a device or formal evaluation is needed, there are fees for these services. 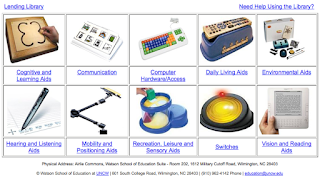 Assistive Technology Initiative Lending Library (ATILL) is a resource listing the assistive technology devices and software currently housed at the Watson School of Education. Like NCATP, they have many resources available for checkout providing you with an opportunity to "try before you buy." Resources may be checked out for thirty days and must be picked up at the Assistive Technology Demonstration and Lending Site. Requests for devices may be made by you, a family member, a friend or advocate, or someone who is helping you with your assistive technology needs (e.g., a therapist, teacher, rehabilitation counselor). ATILL is on the campus of Watson College of Education, in Wilmington, NC. ATILL recently relocated into the Natural Sciences Building (NS) in room 1026. NS is located on the East Campus behind the McNeill Hall and can be accessed through Walton Drive. There are two parking spots with teal lines on the east side of NS in Lot T reserved for our AT Lending Library visitors. There is also a handicap parking spot on the south side of NS. Of the three, I am least familiar with ATILL, and have not used them yet, but I was very excited to hear they are "in business"! The more the merrier. Tadpole is where I go when I need switch activated toys, or education supplements. NCATP is where I send families who are interested in test driving multi-thousand dollar devices. I would wager that other states have similar programs. If you not in North Carolina, but can speak to similar resources in your State I'd love to hear about it, with a web-link, and likely other readers would too! Often times, teachers and parents ask me for software to help their students with Autism to learn voice modulation. Recently I was introduced to an app called Bla Bla Bla, which is offered for free in the iTunes store. It was not designed for our students, or to teach voice modulation, however, it serves this purpose nicely. Bla Bla Bla works on all iDevices. Bla Bla Bla was built as an exercise called “Parametric Mask”. The exercise was a part of a one-day workshop held in December 2010 at the design department of IUAV of Venice and in February 2011 at the ISIA of Urbino. Watch the short video (1:20) to see Bla Bla Bla in action. February 5th is the 10th Annual Safer Internet Day. The theme is Online rights and responsibilities and the slogan is "Connect with respect". It's purpose is to promote safer and more responsible use of online technology and mobile phones, especially amongst children and young people across the world. This topic is near and dear to my heart, and of utmost important for our gen-ed and our special populations! 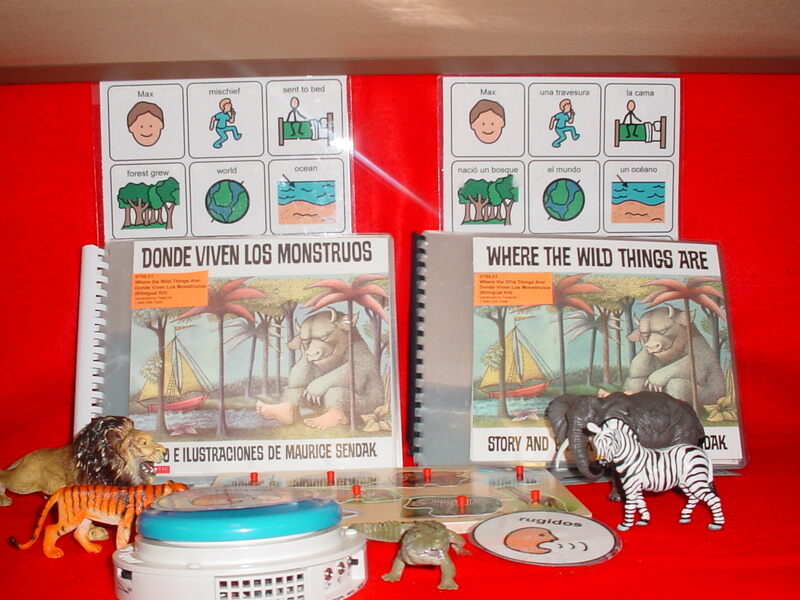 The website offers free downloadable resources for home as well as the classroom. The video below is informative, and offers some surprising information and statistics, not vilifying technology, but understanding the pros and the cons. The folks at Safer Internet Day have a presence on Facebook and Twitter campaign pages. Share this with parents and educators alike! Happy technology-ing! Recently I was introduced to a great new app called "Faces iMake" by iMagine Machine and acclaimed artist Hanoch Piven. It sells for a mere $1.99 in the iTunes store. As a visual artist, I absolutely love this app! The opportunities to play and be creative are endless. The library of pre-made images is extensive, and the ability to import one's own images is terrific. I also enjoy being able to share my work on the built in Face World server. The artwork others are making is really wonderful. Built into this function is the ability to download other's work, make changes to it, and upload it. Mr. Piven writes about this here. As an Occupational Therapist I also love this app. 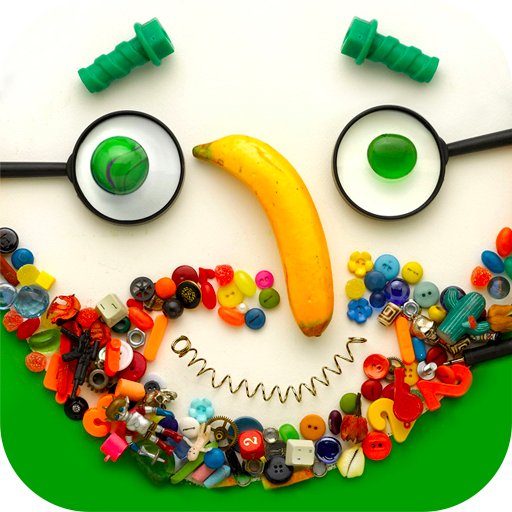 Incorporated in the app are six art lessons geared towards using the app, which are given by Mr. Pivon himself. The lessons are brief and entertaining. Below is one of the lessons. Here are a few Faces iMake "master-pieces" that I created! The one to the right displays the tool bars to the left and right of the image. The whole layout is very intuitive to use, and while the "How to" video is really great, one can actually just jump in and start playing immediately if inclined. Taking a picture of my desktop, I then took a photo of myself, and I found a cartoon image of a ninja. All of that was easily imported straight into the app. Then I used the letters, and ta-da! 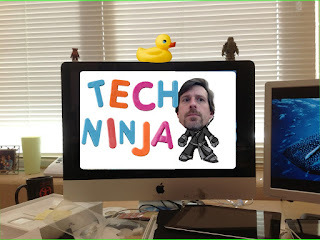 Instant Tech-Ninja artwork! Hold the Date! 30th Annual NCACA Conference! Alright North Carolinians! February 21-22 brings us the 30th Annual Augumentative Communication conference. And for those of us in the Piedmont, it's in Durham again! The title for this year's conference is "We've Come A Long Way: 30 Years of AAC in NC". 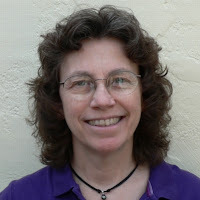 And this year we have the pleasure of hearing Linda Burkhart presenting on "Communication Strategies for Children Who Face Severe Physical and Miltiple Challenges". Ms. Burkart is an internationally known pioneer of simplified technology for children with severe challenges. This conference is designed for SLP's, OT's, PT's, Psychologists, Educators, Para-professionals, Families, and Consumers interested in increasing their knowledge of AAC and AT. Every year I've attended this conference I have left with new knowledge, and fired up to try new tactics. Don't miss it! You can find out more details here.